Hi there! 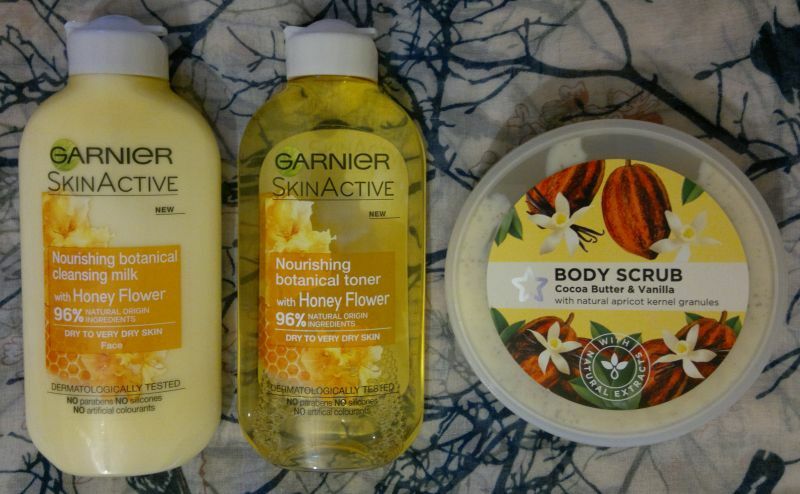 Today’s post is about Dr. Organic‘s Aloe Vera Body Wash & Manuka Honey Body Wash. I’ve already reviewed Dr. Organic’s Aloe Vera hair products, and if you’d like to read that review, click here. 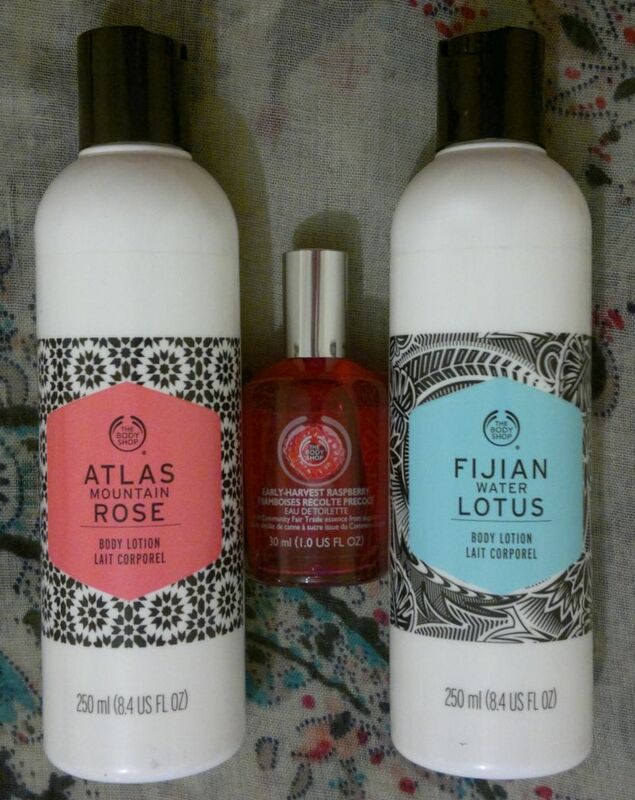 Now, without further ado, onto the body washes! Dr. Organic‘s Manuka Honey Body Wash is disappointing. 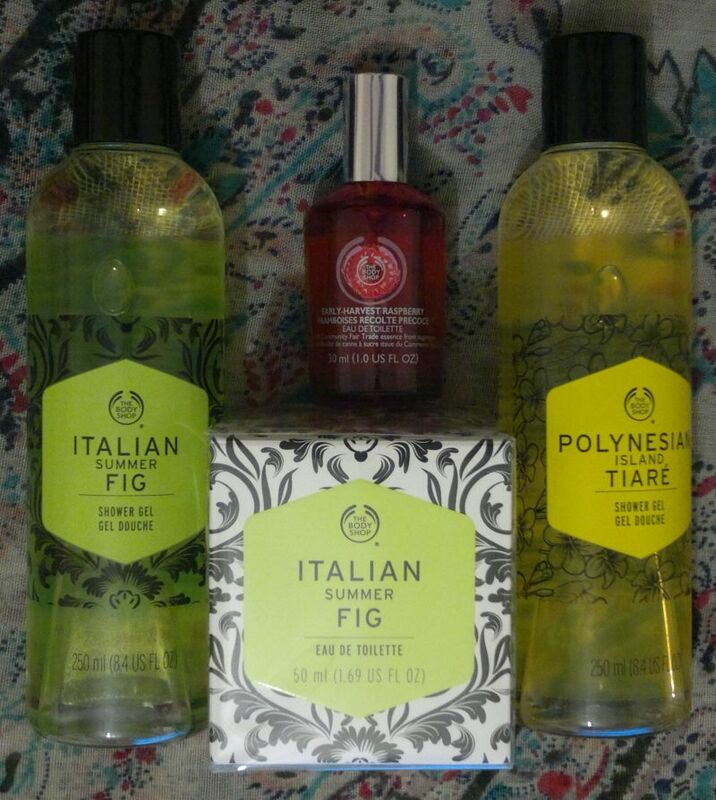 Whilst it smells wonderful from the bottle, the fragrance changes as soon as the shower gel hits the skin. I’d describe the fragrance as… warm plastic! And just like the aloe vera shower gel, this one isn’t very cleansing. If you’re sweaty, use something else! All in all, I wouldn’t recommend these shower gels. I wanted to love them, but they’re not great. 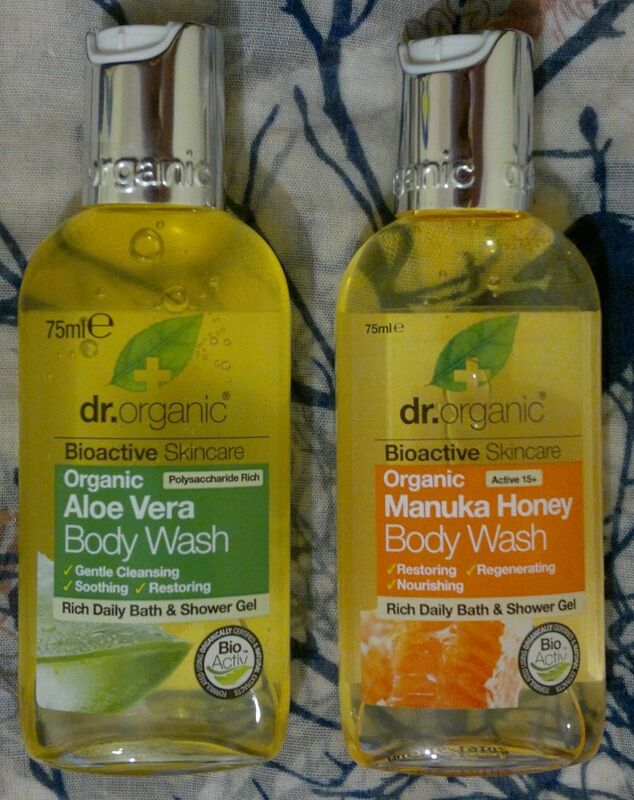 If you’d like to try them, Dr. Organic Aloe Vera Body Wash & Manuka Honey Body Wash are available as 75ml and 250ml. 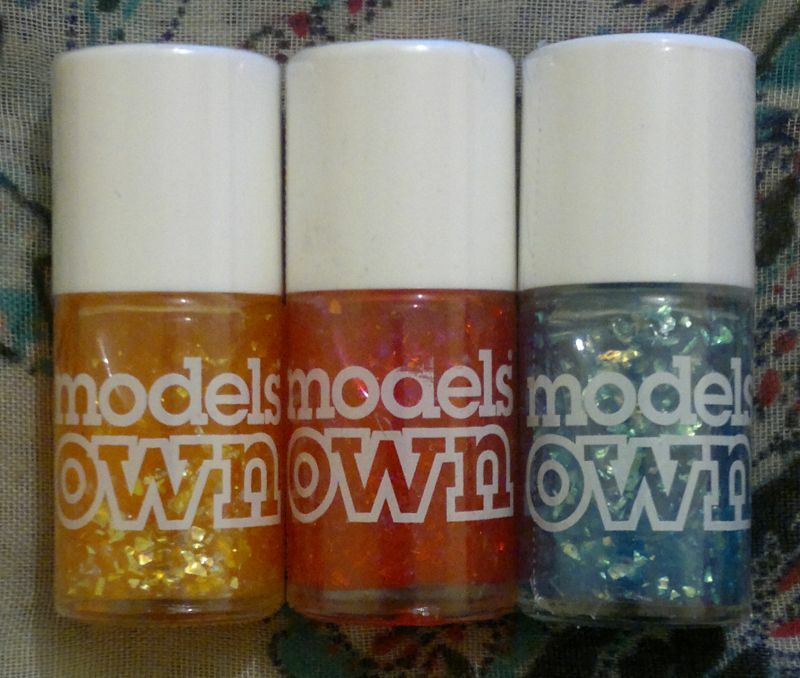 I paid £1 each for the small travel size bottles (special offer). Hi there! 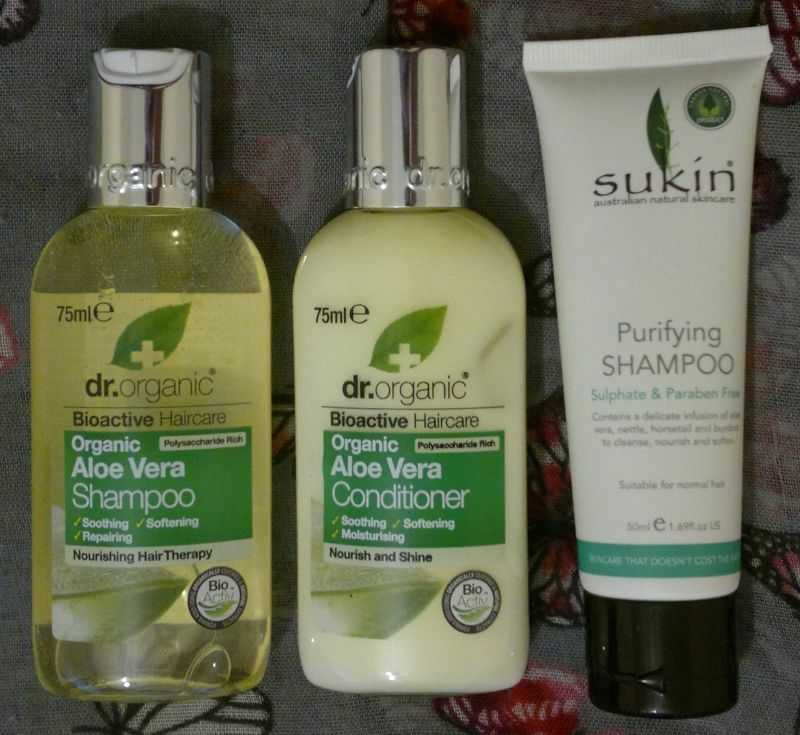 Today’s post is about Dr. Organic Bioactive Haircare Organic Aloe Vera Shampoo & Conditioner. 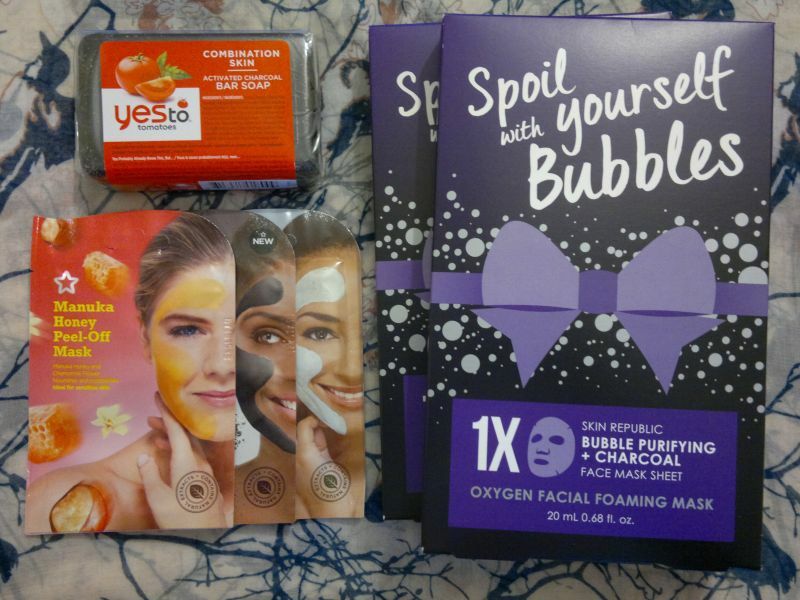 These 2 products claim to be be vegan & cruelty-free. The shampoo and conditioner are aimed at all hair types, and they promise to nourish hair. How’s the shampoo? I’m pleasantly surprised. The shampoo is SLS-free, but it lathers up perfectly, and it feels clarifying. Nice! It smells more like lemons than aloe vera, but that’s not too much of an issue for me. Based on my experience I would recommend the shampoo. If you’d like to try the conditioner, I recommend you give it a sniff before you buy it. 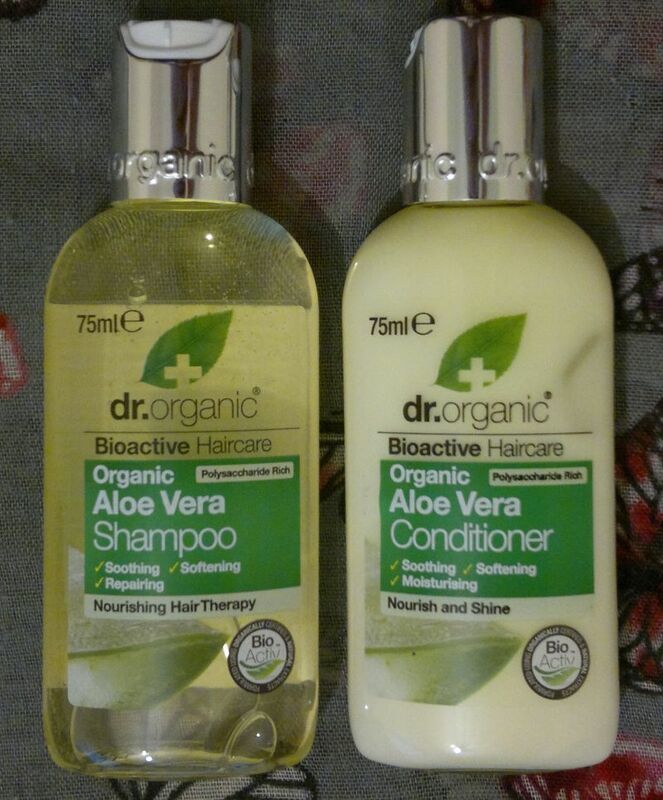 Dr. Organic Bioactive Haircare Organic Aloe Vera Shampoo & Conditioner are available as 75ml and 265ml each. 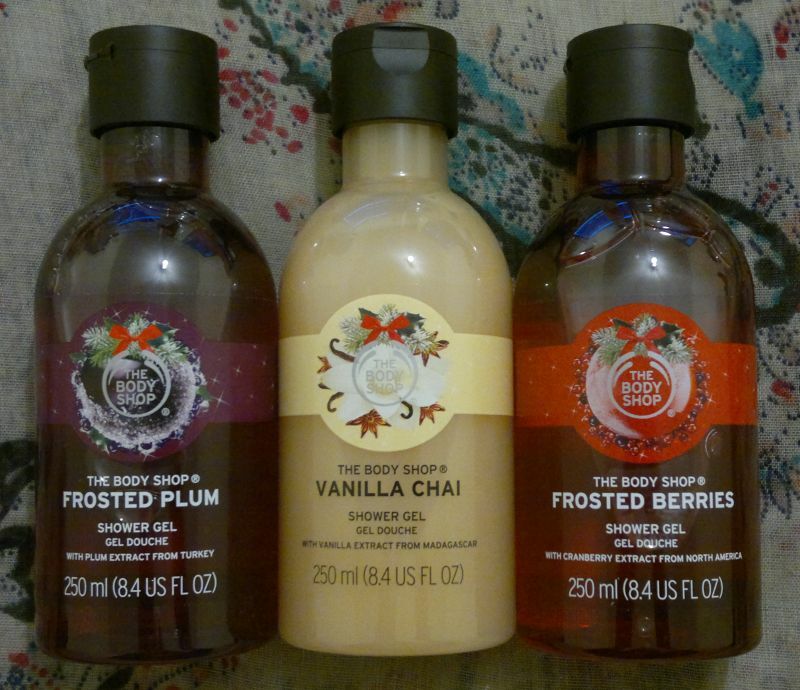 I paid £1 each for the 75ml travel size bottles (special offer). 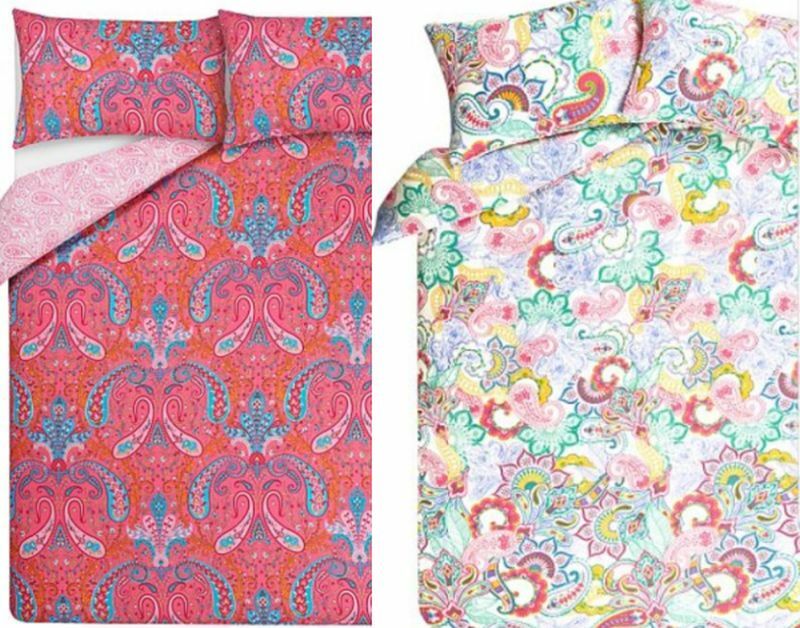 The full size products are just over £6 each.